If you're responsible for middle-school girls, you know social media is their second language. But do you know how to help protect their identity online? And did you know the STEM classes they love could lead to a hot career in cybersecurity? 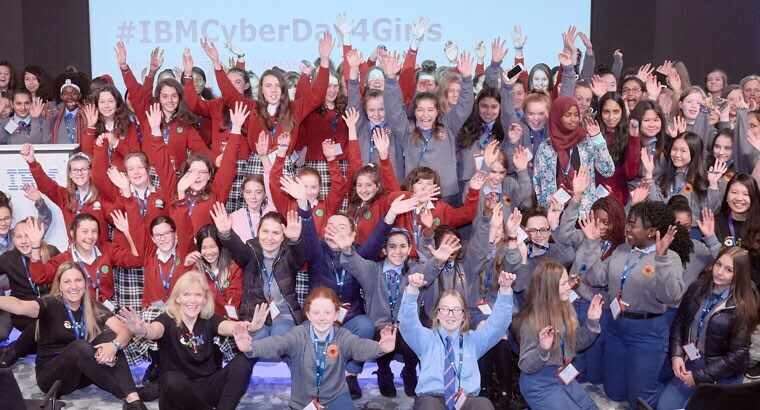 Since 2016, IBM® has been hosting "IBMCyberDay4Girls" events in the US, Canada, Australia, South Africa, and most recently in Nigeria, to promote cybersecurity education. Throughout this full-day experience designed just for seventh- and eighth-grade girls, they will learn about the Internet of Things, participate in group activities such as basic threat modelling, and get to know some of the women of IBM who can tell them what it's like to work in the tech industry. Last year, at 31 events across 5 continents, young girls discovered what a career in cybersecurity looks like. They listened, learned and met with successful women in the industry. Want to be part of this year’s effort to open minds and doors to even more girls?